While Trump senior advisor Stephen Miller doesn’t appear to be inspired by The New Colossus, the Emma Lazarus poem found at the base of the Statue of Liberty, The Guardian definitely is. 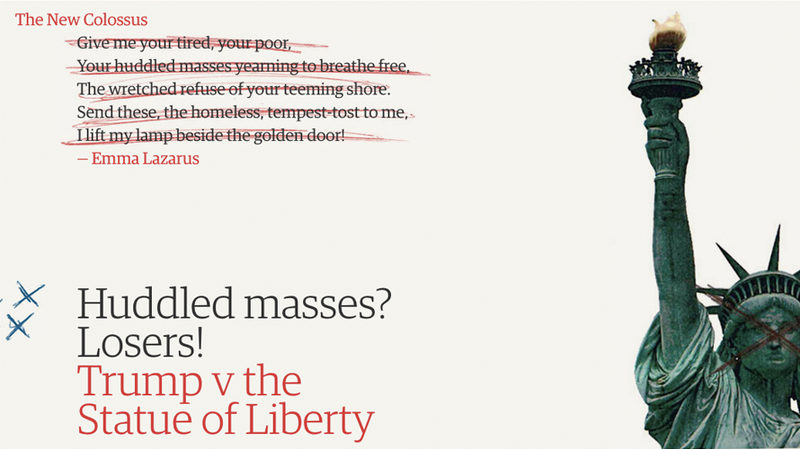 A little over a week after CNN senior White House correspondent Jim Acosta’s much-dissected exchange with Miller about the “huddled masses yearning to breathe free,” The Guardian is reimagining the poem for our current political context, with the help of 21 American poets. The poems fall into one of three categories, those in the voice of Trump, the statue, and the poet, and include contributions from former poet laureate Rita Dove, Patricia Smith, Jane Hirshfield and Craig Santos Perez, among others. 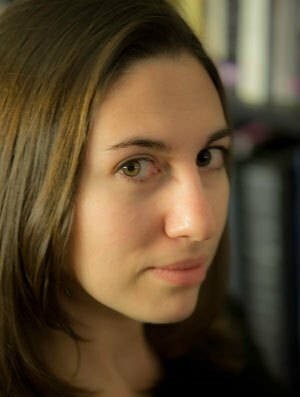 Amy King, who also appears in the collection, helped curate for The Guardian. You can check them out here, and if it has been a while since you’ve read a poem, here’s a reminder of what withering commentary looks like in verse form, via Bob Hicok’s Making America Grating Again. of me, as I worship my reflection in my hotel’s golden door. There’s a participatory component for readers as well, who can submit their poems à la Lazarus here. The publication will post some of its favorites on social media and in a separate story.